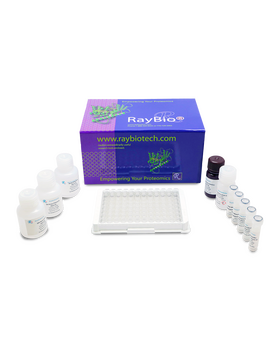 RayBio® Human GDF-15 ELISA Kit for cell culture supernatants, plasma, and serum samples. 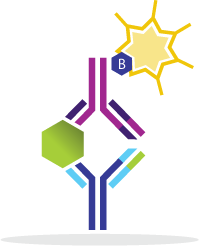 This ELISA kit shows no cross-reactivity with the following cytokines tested: human Angiogenin, BDNF, BLC, CNTF, ENA- 78, FGF-4, IL-1 alpha, IL-1 beta, IL-2, IL-3, IL-4, IL-5, IL-6, IL-7, IL-8, IL-9, IL-11, IL-12 p70, IL-12 p40, IL-13, IL-15, I-309, IP-10, FGF-4, FGF-6, FGF- 7, G-CSF, GDNF, GM-CSF, IFN-gamma, IGFBP-2, IGFBP-3, IGFBP-4, Leptin (OB), MCP-1, MCP-2, MCP-3, MDC, MIF, MIG, MIP-1 alpha, MIP-1 beta, MIP-1 delta, PARC, PDGF, RANTES, SCF, SDF-1 alpha, TARC, TGF-beta, TIMP-1, TIMP-2, TNF-alpha, TNF-beta, TPO, VEGF. Lancrajan I., Schenieder-Stock R., Naschberger E., et al. 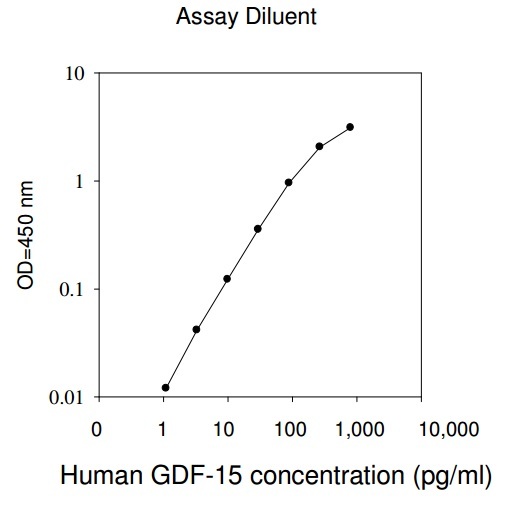 Absolute quanti?cation of DcR3 and GDF15 from human serum y LC-ESI MS. J Cell Mol Med. 2015 Jul;19(7):1656-71. doi: 10.1111/jcmm.12540. Ilhan H., Bilgin A., Toylu A., et al. The Expression of GDF-15 in the Human Vitreous in the Presence of Retinal Pathologies with an Inflammatory Component. 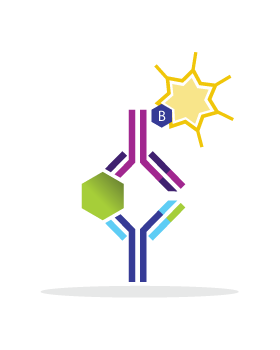 Ocul Immunol Inflamm. 2016 Apr;24(2):178-83. doi: 10.3109/09273948.2014.981549. Xu X., Nie Y., Wang FF., et al. Growth differentiation factor (GDF)-15 blocks norepinephrine-induced myocardial hypertrophy via a novel pathway involving inhibition of epidermal growth factor receptor transactivation. J Biol Chem. 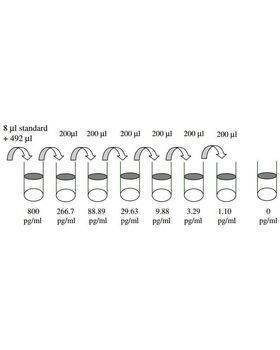 2014 Apr 4;289(14):10084-94. doi: 10.1074/jbc.M113.516278. Barderas R, Mendes M, Torres S, et al. In-depth characterization of the secretome of colorectal cancer metastatic cells identifies key proteins in cell adhesion, migration and invasion. 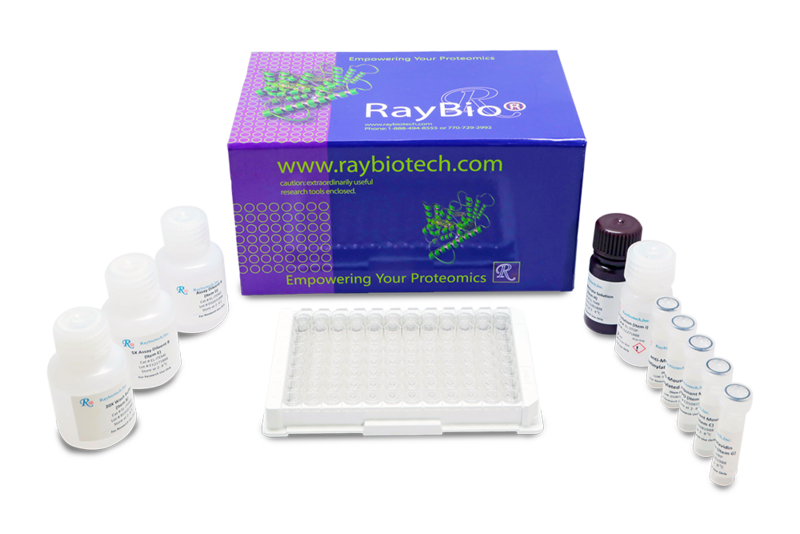 Mol Cell Proteomics. 2013;2013;12(6):1602-1620. Athiyarath, Rekha, Alok Srivastava, and Eunice Sindhuvi Edison. "Molecular basis of primary iron overload in India and the role of serum-derived factors in hepcidin regulation." Annals of hematology (2013): 1-2. Barderas, Rodrigo, et al. "In-depth characterization of the secretome of colorectal cancer metastatic cells identifies key proteins in cell adhesion, migration, and invasion." Molecular & Cellular Proteomics 12.6 (2013): 1602-1620.